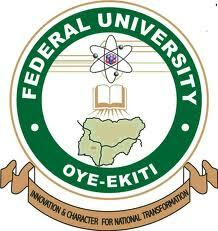 Authorities of the Federal University, Oye-Ekiti (FUOYE) have released the pre-degree admission list containing the names of candidates offered provisional admission into the university various pre-degree programmes for the 2018/2019 academic session. FUOYE Pre-Degree admission list has been successfully uploaded on the university official portal. Recommended: FUOYE Pre-Degree Admission Acceptance Fee Payment Procedure. Congratulations to all the candidates that made it to FUOYE pre-degree admission list for the 2018/2019 academic session.